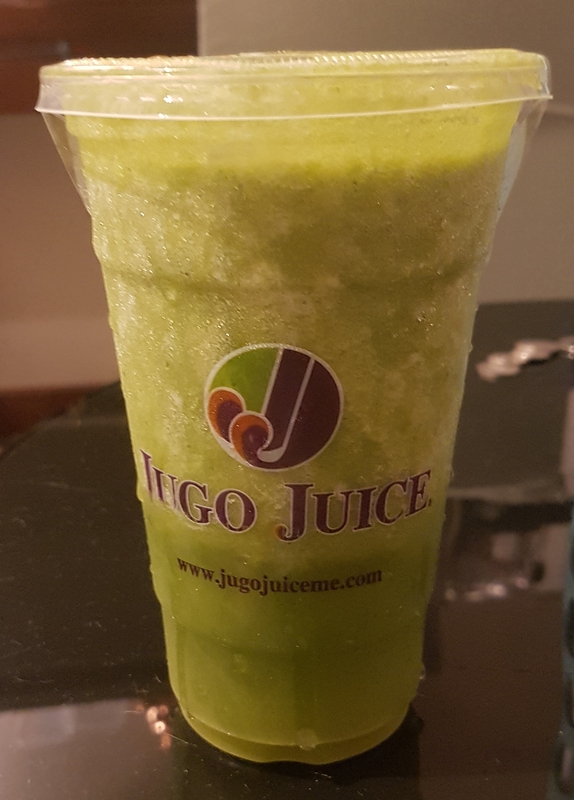 My review for Jugo Juice – One of my favourite smoothies comes from here. I lived on Jugo juice in Canada to keep me healthy when I don’t have the time to cook. The ones here in Dubai delivers the same quality of juices, which made me happy. I loved the mighty kale smoothie as it kept me energized and it tasted great at the same time. The is usually what I order when I pass through here. I trust that this place does not add sugar to their juices, and I do see them make it right in front of me, so I know fresh ingredients are used. This juice shop deserves a rating of 4.5/5. I ordered the mighty kale for 26DHS. The pricing of the juices served here were on par from what you would expect at most healthy juice cafes. The service that I received here was lovely. The staff member behind the counter was approachable and she fast at making my juice. The ambience of the juice shop was inviting and was appealing located in the little food court in the Furjan Pavillion in the Discovery Gardens area. I was glad to see the very clean counters, and it was a good spot to grab quick drinks and snacks.